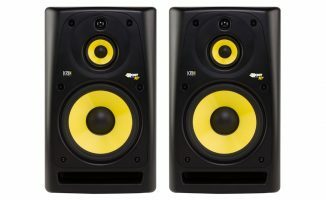 KRK just launched two active speaker models, the desktop Rokit 4 G3 and the massive Rokit 10-3 G3. 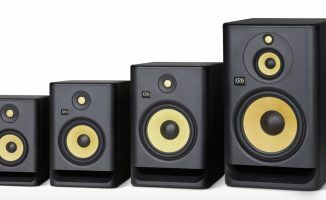 KRK just launched two active speaker models, the desktop Rokit 4 G3, and the massive Rokit 10-3 G3 which has a three-way speaker design. 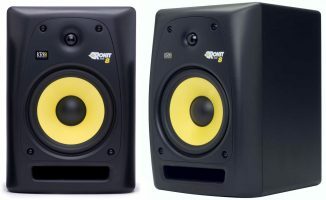 KRK just released the Rokit 4 G3 and Rokit 10-3 G3, two new models at opposite ends of the size scale in the popular speaker line. The Rokit 4 G3 sports a 4″ woofer and a 1″ silk dome tweeter, while the Rokit 10-3 has a big 10″ woofer, 1″ silk dome tweeter, plus a 4″ midrange driver. The Rokit 4 G3 has a footprint small enough for your DJ or home studio desk, while the Rokit 10-3 G3 is meant for bigger project and production studios. Both models come with balanced XLR and TRS inputs, as well as an RCA input. 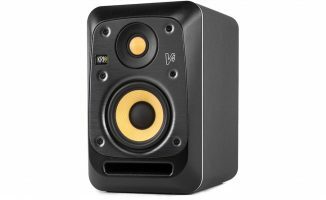 If you’ve been using a pair of tinny desktop or computer speakers when DJing at home, you maybe won’t realise how inspiring it can be to use decent speakers when practising or producing. Something like the Rokit 4 G3s won’t break the bank, and are definitely a step up from the thin sound you get from cheap computer speakers. Of course, if you want big sound (and have the space for it), the Rokit 10-3 G3 looks like it packs a serious punch. We’ll give you our thoughts on both speakers soon as we get them in the office for review. Check out the promo videos below. 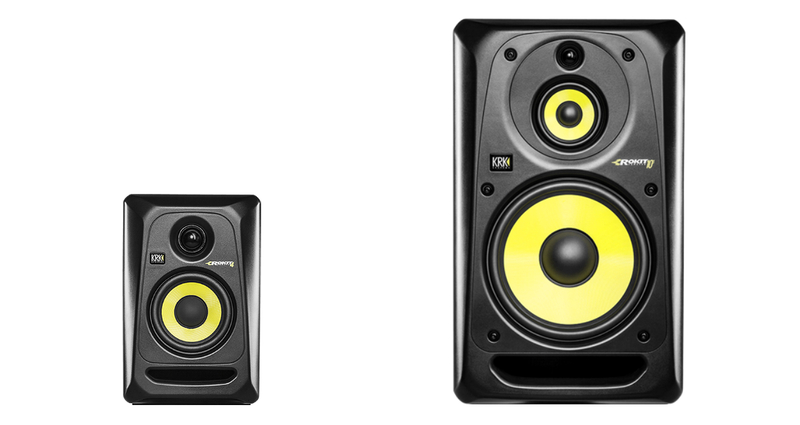 • The KRK Rokit 4 G3 (US$149) and Rokit 10-3 G3 (US$429) are available now. Check the KRK Systems website for more details. Are you looking to upgrade the speakers in your DJ home studio? What are your thoughts on these speakers? Let us know below.